If you’re on the European Court of Human Rights, you can’t let yourself be detoured by such a piddling matter as the truth when there are more important values at stake—such as the reputation of the prophet and the importance of people’s feelings. The European Court of Human Rights held, unanimously, that there had been no violation of Article 10 (freedom of expression) of the European Convention on Human Rights. The domestic courts carefully balanced the applicant’s right to freedom of expression with the rights of others to have their religious feelings protected, and to have religious peace preserved in Austrian society. No doubt you’ve seen the figure of Lady Justice that adorns so many courthouses across the globe. Thanks to the ECHR, we now know what’s being weighed in the balance scale she holds. In one cup are freedom of speech, freedom of religion, and similar lightweight rights. In the other cup are hurt feelings. Nowadays the latter seem to outweigh all other considerations. The ECHR’s “balancing” of free speech with feelings is what is normally called a “dangerous precedent.” It means that in the future your freedom of speech won’t count for anything more than your neighbor’s hair-trigger temper. You only have to look a few thousand miles away to see how this balancing act works out in practice. 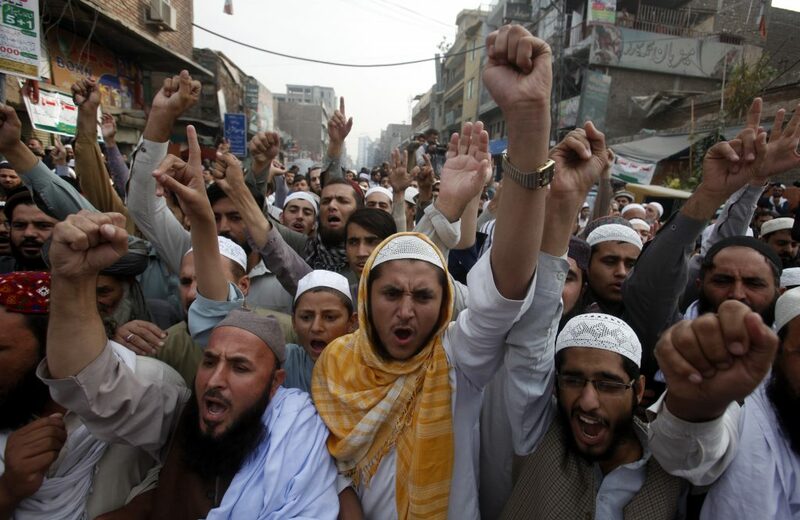 The Pakistan government balanced Asia Bibi’s right to freedom of speech and freedom of religion against the rights of a howling mob to have “their religious feelings protected.” Not surprisingly, they decided that the mob had the weightier case. To my knowledge, there weren’t any howling mobs outside the European Court of Human Rights. But the ECHR wasn’t taking any chances. 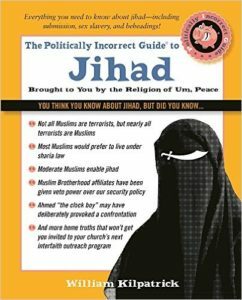 They were certainly aware of the numerous Muslim riots in France, Germany, Sweden, and other European countries in recent years. And they most likely hadn’t forgotten the worldwide riots that ensued after an unflattering cartoon of Muhammad appeared in a Danish newspaper. Nor are they likely to have forgotten the “spontaneous” worldwide riots that erupted after Pope Benedict’s Regensburg Address. The Court’s decision speaks about protecting “religious feelings” and preserving “religious peace.” But it wasn’t meant to protect the feelings of Catholics, Jews, or Seventh-Day Adventists. Rather it was there to protect Catholics, Jews, and Seventh-Day Adventists from the outraged feelings of Muslims. The “protection money” that the non-Muslim in Europe needs to pay is the surrender of their right to freedom of expression—at least in regard to those expressions that may offend the ultra-sensitive feelings of some Muslims. If nothing else, the cases of Asia Bibi and Elisabeth Sabaditsch-Wolff should remind us that Islamic law is not meant to apply only to Muslims. Some parts of it—such as the blasphemy laws—are meant to apply to everyone. At least that’s how the Muslim world sees it. But why should the Western World accept this imposition of their religious rules on our society? Why do Western countries so often work against their own self-interest? One answer it that Western freedoms can be easily leveraged—both by Muslim activists and by Western appeasers—to undermine Western freedoms. Leftist lawyers and Muslim “lawfare” practitioners have learned how to take advantage of religious liberty and free speech in order to eventually impose a system that protects neither freedom of speech nor freedom of religion. But there is another factor to consider—i.e., another Western “value”—that is being taken advantage of by those who don’t respect Western values. I put the word in scare quotes because this recently minted “value” is of doubtful merit. I refer to the primacy of feelings in Western societies—the elevation of emotion over every other quality. As you have undoubtedly noticed, it’s increasingly the case that the argument from emotion trumps arguments from reason. Debates over immigration, for example, are not settled by reason and evidence, but by photos of drowned children and of weary refugees gazing hopefully through barbed wire fences. This article originally appeared in the November 12, 2018 edition of Crisis.